Managed by Galit and Roi Kabiri. 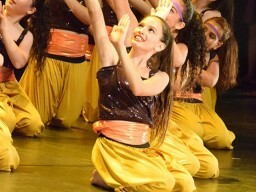 The Zooz Dance classes and ensemble groups take place in a variety of halls throughout the city and surrounding areas, including the sports halls in Shimshoni, Ironi Aleph, Buchman - Sderot Rabin, Maccabim, Reut and Lapid. The Zooz Dance troupes perform in Israel and abroad, at competitions and festivals, at official events, presenting professional and high level dance shows. During vacations Zooz Dance runs high quality kaytanot in a professional and air-conditioned studio. Zooz Dance - more than just a class!